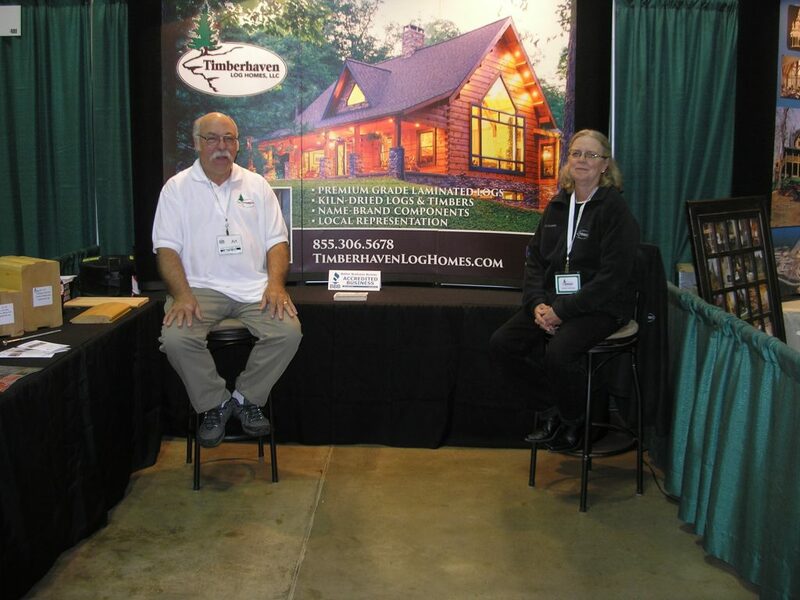 We just wanted to take a few moments to thank all of you who visited us at the Timberhaven Log and Timber Home booth at the Log & Timber Home Show in Akron, OH, this past weekend. We met many people who are new to log and timber homes and were seeking information, guidance, floor plans and pricing. In fact, it was difficult for Art to break away from the booth to do his featured presentations of “Understanding the Nature of a Log Home Package” on Friday and Saturday afternoons. For those who were unable to attend but are considering a log home in their future, we suggest you visit us during one of our Open Model Events, schedule a private meeting with us at a more convenient time or visit us at one of the upcoming show sthat we will be at – these can be found in our Upcoming Events page. And remember that by doing so, we will give you a $1000 credit toward the purchase of a log home package through us. So your time will save you even more money.